VPL-VW870ES 4K SXRD HD Ready Home Cinema Projector with laser light source, 2200 lumen brightness, premium ARC-F lens and Digital Focus Optimiser. Earn 24995 loyalty points when you order this item. 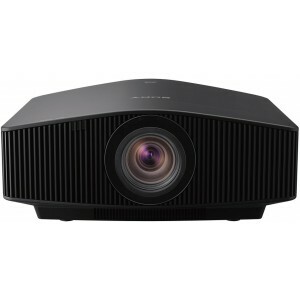 Sony VPL-VW870ES 4K SXRD HD Ready Projector features a laser light source and supports a native 4K resolution. An ideal choice for your home cinema room, the projector breathes life into your movies with extraordinary cinematic detail, colour and contrast. This compact unit combines the advanced light source with the same Sony 4K SXRD panel technology that’s found in Sony's Pro cinema projectors. You’ll experience fabulously rich cinematic colours, smooth motion and spectacular contrast. Savour the action with 2200 lumens brightness and see vibrant images. Be fully prepared with compatibility for the latest 4K standards including High Frame Rates and HDR so you get the very best out of today’s content, and tomorrow’s. The VPL-VW870ES uses an ultra-pure and reliable Z-Phosphor laser light source. This Sony developed light source offers bright images for up to 20,000 hours of uninterrupted operation with minimal drop-off in image brightness, no lamp replacement and virtually zero maintenance. VPL-VW870ES automatically adjusts contrast for optimum picture quality by analysing dark and light areas in every scene. It has a highly reflective liquid crystal and an alignment layer without bevelled corners or contact divots, enabling an ultra-fast 2.5ms response rate. Space is minimised between adjacent pixels for dot-free pictures with deep contrast. For pristine image quality across the entire screen, the VPL-VW870ES features an All-Range Crisp Focus (ARC-F) lens. This large-aperture lens adopts an all-glass design for its 18 elements, including six extra-low-dispersion (ELD) elements. This ensures optimal convergence of the red, green and blue primaries even at the extreme edges of the image for a clear and vivid image wherever you look. Featuring the latest 4K processor for home cinema projectors, Exclusive Super-Resolution Reality Creation technology analyses every object of the image right down to the pixel level while upscaling Full HD content for an incredible 4K experience, so you’ll always get the best from your content library with extraordinary clarity, colour and contrast. It uses powerful pattern-matching algorithms developed over years of movie production to enhance image crispness without increasing digital picture noise. It also upscales existing full HD Blu-ray Disc and DVD movies to near 4K quality. Get the most from today's UHD Blu-ray and streaming services with High Dynamic Range. HDR video offers an expanded brightness range that delivers more realistic, high-contrast images and brilliant colours. Compatible with both HDR10 and HLG (Hybrid Log-Gamma) formats. Sony’s home cinema projectors reproduce colour and contrast that's faithful to the creator's intention. With an increase in 4K HDR 60P content, the VPL-VW870ES is now HDMI 18 Gbps compatible for smoother expressions of gradations. The powerful video processor in the VPL-VW870ES offers Motionflow for smooth and clear motion, even when viewing 4K content. Motionflow adds frames to reduce blur, while maintaining brightness, making it ideal for fast-moving sports content. Cinema purists can choose True Theatre mode to retain the original 24fps. A great feature for gamers. Experience 4K 60P games and Sony's fastest ever response time between the controller and screen for ultimate gaming action, with low input lag of 27ms, even when you’re playing the latest 4K titles. Enjoy the action with up to 2,200 lumens brightness from the laser light source, for vibrant images on screens. Laser light levels are precisely controlled in real time, assuring truly spectacular dynamic contrast range with the latest 4K HDR content, ensuring the most accurate reproduction of the director’s vision. Quickly set the picture to what you’re watching or playing. 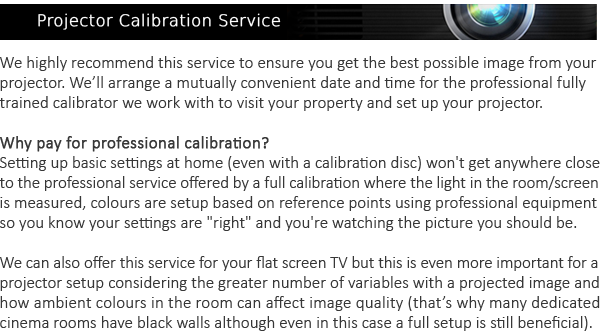 Select from nine calibrated picture modes including two theatre film modes, cinema digital, reference, TV, photo, game, bright cinema, and bright TV. An advanced HSV (Hue Saturation Value) colour tuning tool gives you even more control. Air intakes at the front of the projector are matched by a rear air exhaust for the low-noise fan, ensuring optimum picture quality.